Writing is book is no easy task. Sure you may have the plot figured all out, know every single minuscule details of your characters life in your head - how they look, talk, live, die, etc.- know what arc to give them to bring their story to life on the page, how to hook your reader with exactly what they expect or don't expect. None of this matters if you can't put these things onto paper (virtual or real) and create a story. A voice compelling enough for a person to pick up a book and read it. Then comes the task of finishing a draft. Polishing it until your wrists are complaining of falling off and you're at risk for carpal tunnel. Then comes more intense revisions. Then comes the process of finding the courage to find someone who will love your baby as much as you do: understand it, love it, and do their best to do right by you and your story. That's not a easy task. Rejections are hard to stomach for anyone. The best of people sometimes don't do well and take it as a personal failure and give up however most are resilient as they bounce back and work their asses off to fix it even more and try once again to find someone else. Then when they DO find that right person, you have to find a whole another group of people (publisher/publishing company/house) that agrees with you both and is as excited to bring your baby to the general populous known as the world. Not such an easy task after all. Working through more hoops after finalizing that process (a long one at that- generally known to last anywhere between 14 to 24 months) and anxiously waiting for the rest of the world to read your work and then judge it. Critique it. Comment on it. *gulp* SO. Not. An. Easy. Task. (Think about that research paper draft that came back marked in red all over). So, when you read someone's book and decide to review it, please keep these things in your mind. From one reader to another, this is what I believe is key in not just your professional opinion but as a person as well. If you don't like the book, okay, no harm done. Why bash it? Learn to look at the good things and the bad ones. If there aren't any good things, just say that and shut up. Is it always necessary to itemize the bad things and write paragraphs upon paragraphs about them? Isn't that a tad bit juvenile? Thought we left that side of ourselves back in middle school. Sure you have devoted two, or three or maybe even 5 hours to the task but I'm sure you took away SOMETHING from it. Perhaps that that kind of book is NOT YOUR CUP OF TEA. It didn't sit well with you, doesn't mean it won't with others. This bothers me most when something bad you say about a book turns other people off from even picking it up. Comments like, "You didn't like this? Oh, that means I won't either', 'Not going to bother reading this then', 'Thanks for saving me my time'. You know what all of those sound like to me? Just sad pathetic excuses and cop-outs. This enrages me SO SO SO MUCH that I want to bang my head against the wall until there is nothing left of it. Your words have the power to take away someone's choice of reading that book and judging it FOR THEMSELVES. It could be something that's totally up their alley but nope, you've just saved them 5 hours on something they could have enjoyed or maybe even loved. A leisurely read that could have taken their minds off everything else and just transported them to another reality. Or an epic read that could have just for a few hours taken them away from all of their real life issues. Pinch yourself. Yeah, you felt that? You're human. Think about the author. When they pinch themselves, they feel what you felt too when you pinched yourself. I'm sure they feel the same emotions that you do. The author is a human being as well. Something to consider. So, next time you use your words to describe what you thought of another's words, think about the effect YOUR words will have. 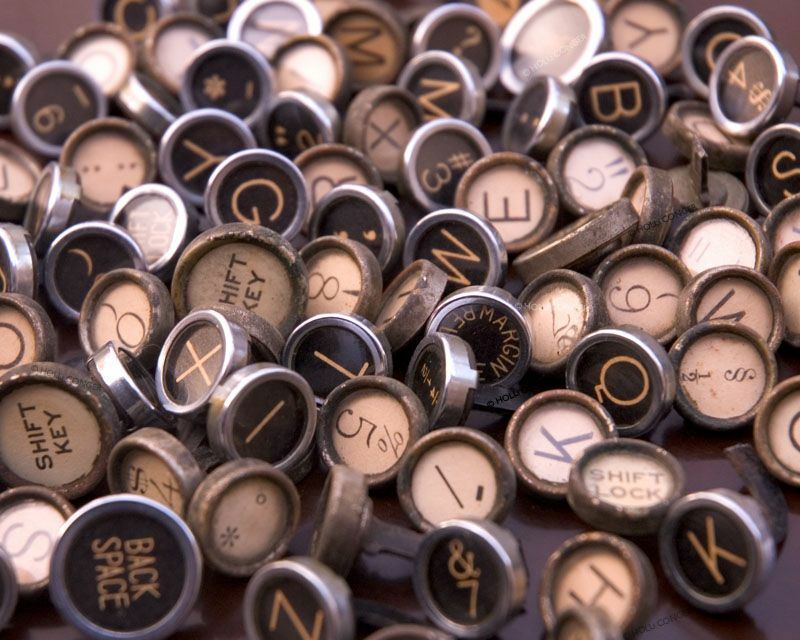 Think before you discards someone's words as paltry and not worth someone's time. Think twice before you put someone off of a book they could want on their shelf. Think about the fact that you're taking that choice away from them and what would you do if someone took that choice away from you. Just think. (Since we've establishes the fact that I'm sort of an asshat -thank you, John Green for bringing this term to my vocabulary-when it comes to posting reviews I thought these were some titles that deserved to be written about as I loved them more than mere words can convey. I thought now would be as good a time as any to write a series of posts about them! Note: I have a 15 page paper due Tuesday has not seen the light of day yet- that's how much I loved these books). My only qualm: I'm not so hot on the cover. Tall American girl. 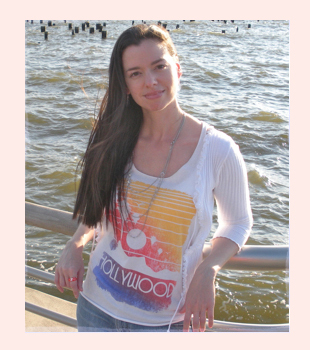 Short hot Parisian (English +American - imagine that accent!) guy. Boarding school. Paris. Hello, perfection. Loved, loved, LOVED Stephanie Perkins' debut with an ungodly amount of passion. Read an ARC that I had gotten at ALA and reached the last 50 pages to realize that it was misprinted and the 30 pages were reprinted from the previous chapter. Made Zoe from Zoe's Book Reviews read them over the phone/Skype screenshot them for me. That is how much I love this book. Made my local library order it. Made at least 5 people but it at Strand/Borders/B&N. My mission in life: to make everyone read this book. For me personally, St. Clair is perfect. Except he could use a few inches in the height department. Perkins' prose is smart, witty, and charming and resonates teenage-ness. Throw in adventures in Paris, classic American films, and the tension between St. Clair and Anna, and you've got yourself a hit YA contemporary on your hands! Cannot wait for the companion, LOLA AND THE BOY NEXT DOOR. This fantastic debut makes Stephanie Perkins one debut author to look out for! I am a little in love with this cover. Amy. Roger. One car. California to Philadelphia. Can you spell R-O-A-D T-R-I-P? Amy's mom has set out an itinerary for her to follow on her drive from Cali to PA, so she get there on time, along the way checking in and out of hotels her mom has booked for her and such. But everyone knows that well laid plans always go awry. Amy decides to throw caution to the wind and heads to Yellowstone National Park with Roger to relive some memories from of visiting with her dad as a child, stops by university where Roger goes to school (read to find out why!) and visits many other amazing landmarks in the US. 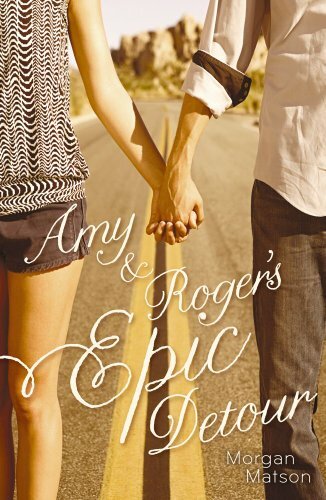 Somewhere along her way, Amy and Roger become more than just travel companions, realize that there are sparks flying, and that they complement each other perfectly. There is not much I can say that will explicitly articulate how much I love this book. Except for the fact that it made it into this post and this list. Loved how Morgan Matson saved every single In N Out, motel and diner receipts, documenting her own experience driving from the West coast to the East coast and it all culminated into this masterpiece. Cannot wait for her next title! I am getting a copy. To say this book was amazing is an understatement. I don't think they have the right words in the dictionary to describe this book to a T. This book made me cry, laugh, curse, want to throw it against the wall, and just about every other emotion you can think of. It was an emotionally wringing, heartbreaking gut-wrencher. Lennie, our protagonist, has always lived in the shadow of her sister, Bailey, who dies and all of a sudden leaves Lennie without an achor to hold on to/look up to. Always shy, in the background Lennie is now in the spotlight when Joe, the new guy who just transferred from Paris appears on the scene and Toby, Bailey's boyfriend is paying more attention to her than she is comfortable with. You know there are some books you read and love them and you just... love them. They are there but not really. But then there are those that you LOVE, and you carry them with you wherever you go? The Sky Is Everywhere falls into the latter category. Nelson's writing is just gorgeous, melodic, and to-die for. I don't think I've ever loved an author's prose, or writing style as much as I love Jandy Nelson's. Lennie's story is not just another coming of age contemporary books. It's an honest, unforgettable, true rendition of a teenager's struggle to come to terms with the death of a beloved sibling and celebration of love at the same time. Only Nelson knows how she managed to intertwine the two and still make it a debut that will not be forgotten for a long, long time. Her next is currently titled The History of Luck, and I for one am counting down the days! I love this cover way more than the original cover. I guess this reflects the book more aptly. To the lady who made me cry in public with her very first book- Twenty Boy Summer- I only I have one thing to say: Little Ricky and Patrick are both mine. I will fight anyone who tried to lay a claim on him. Read this book on a family road trip to Toronto last summer, and I was crying the whole way and everybody kept passing me tissues and concerned looks but let me be and I am so thankful for that because this book hit an emotional button for me personally. Not that my story resembled that of Delilah Hannaford and her family in any way but I personally identified with some of her issues and let's just say that Sarah Ockler can make me cry very loudly and obnoxiously in public and that is a not so good thing but a very good accomplishment for her as writer. 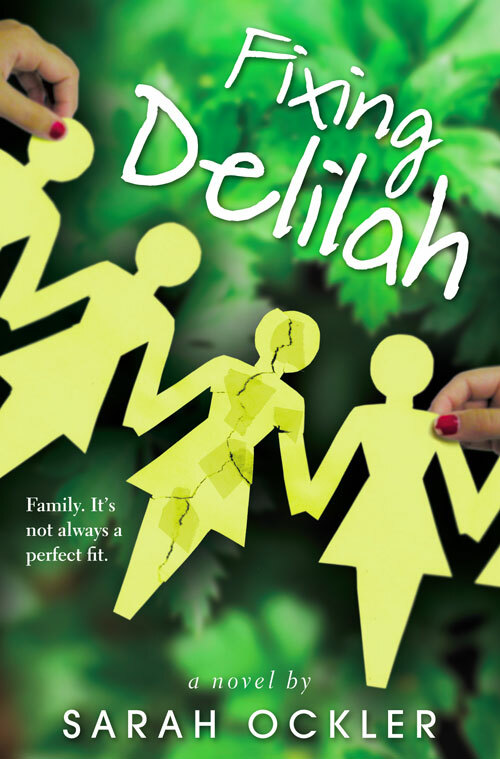 Fixing Delilah is story of a family of three generation of women, and their complex relationship, over a summer full of surprising romance, new friendships and old secrets. Ockler delivers a powerful tale of mother-daughter bonds, family ties, and love in this fantastic follow up! I cannot wait for her what she's got up her sleeve next! Siobhan. Vivian. 'Nuff said. I don't even know where to begin. So, a good place to start would be to pose a very important question. Do you guys know who her editor is? (Yhe correct answer would be yes, but for those of you who may not read the acknowledgements) David. Freaking. Levithan. You can't go wrong with him on your side. No, seriously. I've read (multiple times) and loved her previous two works- A Little Friendly Advice and Same Difference. She writes with this clear intensity that positively reflects the teenage experience with such clarity that leaves one with mouth gaping, jaw dropping expression. Not That Kind of Girl follows in the same vein. Natalie - brought up by two academics - wants only one thing of high school. She wants her life to be in her control. She wants to be student body president, find the one decent guy, be liked by everyone, and generally a good reputation because she believes that it will lead to good things. But, as we all learn at one time or another, we very rarely have control over what happens in life. Unpredictable is life's middle name. And we should have learnt that lesson in 8th grade. However, Natalie soon realizes how things can change without a moment's notice. Old friends can change, people you thought were one way are in actuality, another, and you yourself can undergo a transformation. NTKoG is a story of a girl who always perceived herself to be one way and finds a different side of herself - one that she is not so comfortable with at first, but ends up realizing that we are never truly one person all the time. We are constantly changing based on what we experience, and learn. Loved this book with an intensity even I cannot put into words. Vivian's next book is titled The List and I honestly am ready to raid her house/steal her computer for it! Watch your back, Siobhan! Without further ado, here's Susane. When I moved to New York 15 years ago, I heard about these old elevated train tracks. No one used them anymore. They were just sitting there getting rusty. But word on the street was that they were going to be renovated into a green space. I was psyched. That sounded like the coolest idea ever. And then…nothing happened for a long time. Years passed. I kept hearing rumors about the renovations. No one really knew what was going on. Finally, the High Line opened in June 2009. I was beyond ecstatic. It was everything I imagined and more. You can still see the old train tracks (which I adore – I have a thing for train tracks) with flowers and tall grasses and trees growing all around. It’s such a unique place. The whole park feels like this Zen retreat where you can chill with friends and have an excellent view of the sunset. Thanks so much for that Susane! Y'all should check out the post. There's images from the actual photo shoot and the cover artist talks about how the cover eveolved from multiple images and ideas that they had come up with! It's super interesting - so go check that out! GIVEAWAY: 1 SIGNED copy of So Much Closer is up for grabs! 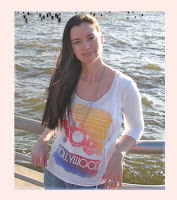 You simply have to leave a comment and tell me that ONE place in NYC that you'd like to visit and why. The giveaway ends on May 15th at 11:59pm P.S.T. since Mia walked out of Adam’s life forever. to the future—and each other. FUN FACT: From the minute I found out there was to be a sequel to If I Stay, I was haunted by dreams of it. Well, no, I’m not serious. But it was #1 on my books that I’d do anything to get my hands on. Humiliate myself, do things that could get me into trouble with anyone, or whatever, I was down for it. As long as in the end, the reward was a copy of Where She Went. To find the words to talk about Where She Went coherently – without the use of words like, ‘OMG’ and incessant gushing – would be like digging through my Broca’s area (the part of the brain that processes speech and language) and trying to find the words that could do justice to this brilliant sequel to If I Stay. Many have argued that If I Stay ended in a good place and there was really no need for a sequel and to those people, I only have one thing to say: What about Adam’s side of the story? Yes, we all loved Mia and cheered for her while she stumbled over each obstacle set in her path, but did we once stop to think about what Adam was going through? About how what Mia was going through was killing him inside out? I guess you can allude that to Ms. Forman’s skill as a writer that made us completely disregard Adam’s plight. Nonetheless, it was there. It was there through all of If I Stay and you can see it leap off of every single page of Where She Went. When you suffer a tragedy, one often asks the question: Why? One looks for an explanation that can make some sense of what happened, but rarely is there a black and white answer to be found. Well, Mia is Adam’s tragedy. And Where SheWent does a fantastic job of bringing to light the effect of and the aftermath of the accident on Adam. As always Ms. Forman’s hauntingly beautiful prose captures the reader’s heart and soul and makes it a visceral experience. I could wax poetic about the plot or summarize the book or the events that take place but instead I’m just going to tell you some of my favorite things about the book that hopefully you may relate to as well. It’s set in New York City. (Mia @ Juilliard. Adam, for music label business). You can’t go wrong with that setting. Ever. Ms. Forman, in one night, manages to create a vivid panoramic view of the city that never sleeps. Literally. This time, both Adam and Mia are on an equal footing. They’re both popular in their own right. Sure, Adam maybe more popular because of his rock band but Mia is well known in the classical circle as well. (She plays at Carnegie Hall at the age of 20—major accomplishment). When Adam goes to see Mia’s concert in casual clothing (and all the other people are dressed up – coz you dress up when you go to a classical concert or Broadway show) and he feels like a fly on the wall, I love his accounting of the concert and how at the end that one bit he says, gets to me. Every. Single. Time. “Tonight I won’t kiss her. Or touch her. Or even see her up close. Tonight I’ll listen. And that’ll be enough”. Ms. Forman really gets inside Adam’s head and one can’t help but see that Mia may have been physically hurt, but it was Adam who suffered the worst kind of mental trauma. (SPOILER) The scene where they have a mini concert all by themselves in Mia’s apartment. I could just imagine it in my head. (That is one scene I want to see brought to life, by the way). Every chapter has lyrics from songs in the album “Collateral Damage” by Shooting Star (Adam’s band). Both fictitious. By the time the book ends, you want them to be real. You want to find a record label that will sign them and produce those songs. Well, I wanted that to happen. I don’t think there’s anything left to say. WHAT MORE REASONS COULD YOU WANT TO READ THIS BOOK? 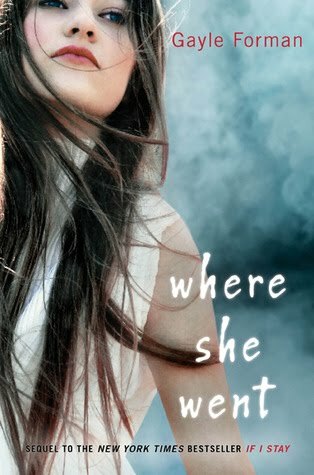 Where She Went is an accumulation of heartbreak, anxiety, first loves, broken loves, and a story of second chances, deserved or undeserved- that is dependent on the reader. Yes, some of you won’t like the choices Adam and Mia make to get to where they do at the end of the book (don’t want to spoil it) but I think once you’ve read it and had time to process it, it should make perfect sense. Times I’ve read Where She Went: 4 times (hardcopy). 3 times (Audiobook). Waiting for NookBook to show up on April 5th @midnight. I should also mention that when friends tell me they haven’t read If I Stay, I kind of go all, ahem, nutso (okay not really) on them and MAKE them read it. It is my life’s mission to have every single person I know read that book. I *need* them to, or I won’t be able to sleep in peace. I’ve been told I can be quite intimidating when it comes to If I Stay and now Where She Went. Honestly though, (I swear!) I am not trying to be scary or rude or whatever, I just want people to read a great book and enjoy it for their own sake. They just don’t know what they’re missing out on. Yes, I completely am. I am in love with this book and the author. Every time someone asks me who my favorite author is, I give a vague response or just say J. K. Rowling, coz you can never go wrong with that. However, now, I have taken to responding to that question with: Gayle Forman. Available wherever books are sold April 5th! I honestly cannot wait for this book! And before this list goes any further I'm going to stop right there! I'll do another one soon. In the meantime, sound off in the comments! Were any of these book son your to-read lists? Any new finds? What else are you looking forward to? I want to know! Ever pick up a book in a kind of okay mood and really hope that it cheers you up, makes you laugh out loud, make your day -maybe even your weekend, or week, or MONTH!- just make you generally want to put aside everything and have no care for anything while you're reading it? Well, Sean Griswold's Head was all that and much more. I'd heard from other people on Twitter, while they were in various stages of the book, of loving it for many different reasons. I for once, after having read it completely concur! I loved, loved, loved, LOVED SGH! Right off the bat, you can tell that the protagonist , 15-yr old Payton Gritas' voice is simply put - authentic. One can just feel her energy jump off the page and bounce off you. She's your average high school freshman, dedicated student, with quintessential characteristics that a high school freshman has. With her best friend/sidekick Jac, they're ready to tackle the new year, micro-manage every last detail (trust me, Payton could put the best of us to shame with her crazy organization skills and her Executive Deluxe day planner!) and just so darn cute. You can see the subtle undertones of the something lying just under the visible lines. Leavitt goes right into it and somehow manages to change her prose from humoristic to heavy in seconds - kind of like a car going from 0 to 60mph in 5 seconds (which is maybe impossible? There's a reason, I don't drive.). 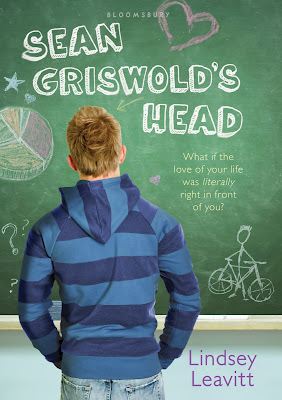 In a nutshell, Sean Griswold's Head is story of a 15yr-old's struggle to deal with her father MS, getting through therapy with an orange-loving counselor (Payton hates the color orange), and trying to look over Sean Griswold's big head that is always in her way. Somewhere along the way trying to survive this all, Payton gets to know Sean, deal with her father's illness and learns an important lesson- why waste time thinking about something that could happen in the future when you have the now and the power and ability to live it to the fullest with the ones you love. It's about not having regrets. With the help of Jac (who at times REALLY got on my nerves, but when you put it in the context of a 15yr-old freshman - man, do you get some crazy flashbacks! Trust me, the kind you don't want to remember), Trent- her heterosexual straight brother, Sean, Mrs. Callahan (orange-loving counselor), and her Focus Journal/Object, Payton arrives to a place where she realizes what potential she has and how lucky she is to have the ones she loves around her. In short, Sean Griswold' Head is a poignant story of a 15 yr-olds search for some semblance of normalcy while growing up and facing the questions, decisions and responsibilities that go along with maturation. Leavitt delivers a fantastic novel that will make readers cry, groan, and laugh until they drop. You won't want to miss this one folks! It's really that good. I hated putting it down even to take a quick snack break! Pg 33: "Accents aren't contagious". Pg 120: "Land of Like"
Pg 238: "So accents are contagious". "Highly". Without giving much away, all I'd like to mention is that I LOVED pg 166 and did NOT like pg 206 at all (if you're one of those people as well, please mention that in the comments, we can discuss this further!). Also, I really love the cover. Love the font, the green and the pinks and just the general composition of the cover! Here are some pictures from my GoodReads stream, some thoughts on the book I posted while reading it. Some places you can find Lindsey or buy the book! FTC, FYI, I didn't steal this book from the publisher even though I really wanted to. I asked for it. Nicely.